Understanding life insurance is important for everybody in the estate planning industry. Whether you are a financial advisor, an attorney, an accountant or a banker, you have plenty of opportunities to help your clients make good life insurance decisions. With any complex topic, there are always myths that exist that cause people to make bad purchase decisions. The life insurance industry is no different than other industries in that numerous myths have been repeated over and over through the years. 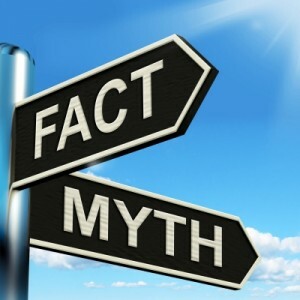 MYTH #1- Buying term insurance and investing the difference is better than buying permanent insurance. Term insurance is life insurance that has a death benefit but no cash value and therefore only pays off if the insured dies before the end of the term of years. The insurance premiums are generally lower than the premiums for permanent insurance, such as whole life and universal life insurance. Although term insurance often appears on its face to be substantially “cheaper” than permanent insurance, term insurance rarely ever pays off because the insured generally outlives the term of years. Term insurance becomes too expensive to continue once the insured becomes too old. In fact, many studies have shown that only about 1% of term policies actually pay out. Therefore, term insurance is generally better used when there’s an insurance need and an affordability issue. In other words, it’s a great product, but only when used appropriately. Permanent insurance, such as whole life and universal life, provides both a life insurance component and an investment component. Unlike buying term insurance and investing the difference in a non-insurance taxable investment, the life insurance cash value generally grows income tax-free and the death benefit is generally income tax-free. And with federal and state income tax rates as high as they currently are, the advantage of the income tax-free appreciation in a life insurance policy is magnified. Even better, there are guarantees built into the policy and a high internal rate of return on the investment in most cases, especially when grossed up to compare it with a taxable side fund. MYTH #2- Life insurance purchase decisions should be based on premium versus death benefit. In determining which life insurance company to use, it is true that comparing the premium versus the death benefit is a great starting point. However, many consumers are so focused on cost versus death benefit that they fail to factor in other variables that are often important. Many insurance policies have low premiums to reflect the fact that the policies don’t have other “bells and whistles” that other policies have. Unless there is truly an affordability issue, the consumer should look at the additional features that other policies may offer. For example, does the insurance company allow for a waiver of premiums upon disability? That could be a life-saver for the family who might otherwise have had to let the policy lapse. Also, if it’s a term policy, does it allow for the conversion of the policy into a permanent policy? This can be an invaluable feature if the insured’s health takes a turn for the worse and the term of the policy is close to expiring. And, if it’s a whole life or universal life policy, does one company offer superior guarantees? Finally, the consumer should look at the insurance company’s ratings in order to feel comfortable that the death benefit will actually be paid upon death. A good life insurance advisor can help the consumer navigate through these issues. Once the consumer finds the right life insurance advisor, the consumer should use that advisor’s guidance to make the final decision and not be blinded solely on premium versus death benefit. MYTH #3- Only the primary breadwinner needs life insurance. It is true that one use for insurance is to take care of the primary breadwinner’s dependents should the breadwinner dying without having built a sufficient estate to replace the breadwinner’s income. However, there are plenty of reasons to also buy insurance on the non-breadwinner. For example, if there are young children, will the breadwinner be able to sustain his or her income and still take time off of work to take care for the children? Will the children need to be put into daycare? Will the breadwinner choose to take some time off of work to raise the children? MYTH #4- Since you likely won’t die anytime soon, you should wait until you’re older to buy your life insurance. Some analogies can help make this point. If you plan to pay attention to the road while you’re driving, should you avoid buying car insurance? If you don’t expect your house to burn down, should you save a few dollars by avoiding purchasing any homeowner’s insurance? Even if you aren’t certain about how much insurance you want or need, or which specific type of insurance, if someone who relies on you being alive would be financially hurt by your unexpected death, at a bare bones minimum make sure you purchase some convertible term insurance. This will ensure that an adverse health issue causing you to be uninsurable won’t completely destroy your family who relies on your income to survive. MYTH #5- Life insurance is too expensive for an older person. The older you are, the larger the annual premium is relative to the death benefit. This isn’t a surprise because for every year older a person may be, that person is a year closer to death. Therefore, the insurance company will have to pay out the death benefit sooner, on average, for an older insured. The annual premium is higher, but that doesn’t necessarily mean that the total cost of the insurance is higher. In order to assess whether the policy may be too expensive, you will need to obtain a printout of the projected internal rate of return on the death benefit. It is very likely that you will find that the internal rate of return on the death benefit is a good investment regardless of whether the insured is younger or older, unless, of course, the insured lives substantially past his or her life expectancy. 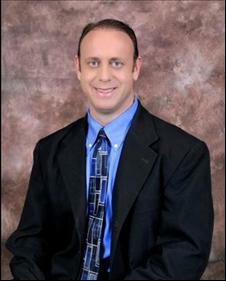 Steven J. Oshins, Esq., AEP (Distinguished) is an attorney at the Law Offices of Oshins & Associates, LLC in Las Vegas, Nevada, with clients throughout the United States. He is listed in The Best Lawyers in America®. 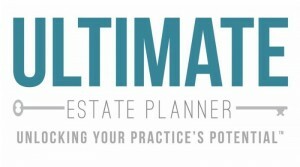 He was inducted into the NAEPC Estate Planning Hall of Fame® in 2011 and was named one of the 24 Elite Estate Planning Attorneys in America by the Trust Advisor. He has authored many of the most valuable estate planning and asset protection laws that have been enacted in Nevada. He can be reached at 702-341-6000, ext. 2, at soshins@oshins.com or at his firm’s website, www.oshins.com. MARKETING: “I Had a Successful Practice, Now What?” by Joseph J. Strazzeri, J.D.